Acacia’s mission is to deliver disruptive high-speed communications technology that increases the bandwidth, increases overall performance and reduces costs for carriers, data centers, and cloud providers. Our innovation is powered by our component technology, which we develop using a process we refer to as the “siliconization of optical interconnect.” This allows us to combine many optical functions into a single integrated solution that has the potential to transform current and future cloud and communication networks. 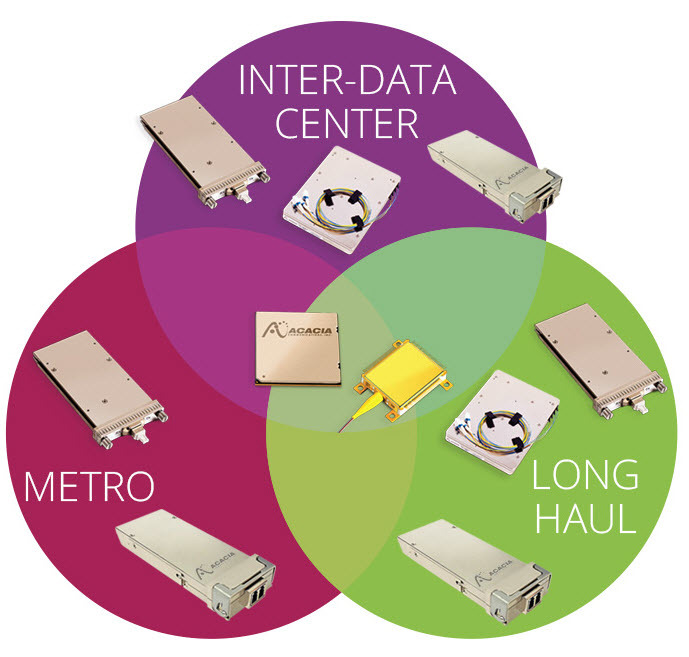 Our family of high-speed coherent interconnect products enable higher density systems with greater flexibility, while simultaneously improving network performance and accelerating the pace of innovation in the optical networking industry. Our optical interconnect solutions include sophisticated modules that perform a majority of the Digital Signal Processing (DSP) and optical functions required to process network traffic at transmission speeds of 100 Gbps and above for a range of applications from datacenter interconnect to submarine, meeting today’s needs of cloud and service providers. When integrated into a subsystem, Acacia’s silicon photonics and DSP technology significantly improve performance and time to market for our customers. 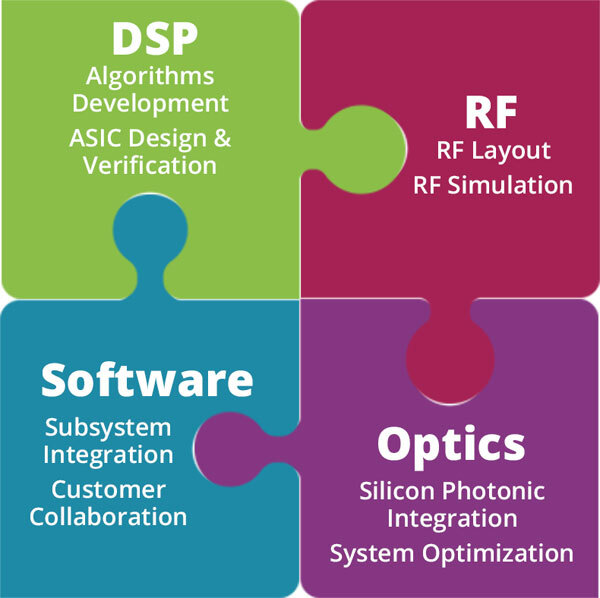 Our optical interconnect products are powered by our internally developed and purpose-built coherent DSP ASICs and silicon PICs, which are engineered to work together and integrate numerous signal processing and optical functions to deliver complete, cost-effective high-speed solutions. Our solutions offer a smaller footprint, lower power requirements, and include significant management capabilities. Using our in-house DSP and silicon photonics (SiPh) technology, we were able to deliver the first pluggable coherent CFP module solution in the industry and the first 400 Gbps transponder on the market. With many transmission capacities varying between 100 Gbps and 400 Gbps per module, Acacia products meet the needs of today’s demand. Our products incorporate advanced system-in-a-module software, which, through a standardized interface, enables seamless installation, configuration, and a high level of performance monitoring. We also selectively offer our coherent DSP ASIC and silicon PIC elements as stand-alone components.